More than 500 households are stuck on the waiting list for social housing in Kettering, new figures reveal. The latest Ministry of Housing, Communities and Local Government data shows that in March 2018 there were 606 households on the housing waiting list in Kettering. That is 15% higher than two years earlier. 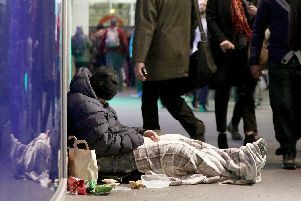 Of those, 113 were households with some medical necessity, while a further 111 were living in unhygienic or overcrowded housing. In Kettering, there were 83 vacant homes by the end of March 2018, all of them owned by the council. Over the last years, Kettering’s social housing stock has risen. By the end of March 2017, there were 6,030 social and council homes , up from 5,630 in 2012.